As you may have guessed, I’m partial to today’s SuperStar Guest Blogger! I’m proud to share my daughter-in-law, Christina Lamphere, with my reading audience. I’ve known Christina since she and my daughter were in Dee’s Dreamers together at Clinton Rosette Middle School (about 18 years ago!). She married my son June 6, 2013, their second wedding anniversary is coming soon, but she’s been part of our family for much longer! Christina blogs about the things she loves– being married, baking & cooking, and her furbaby, Toews. Oh, and cheese. Lots of cheese. Did I mention she loves cheese? 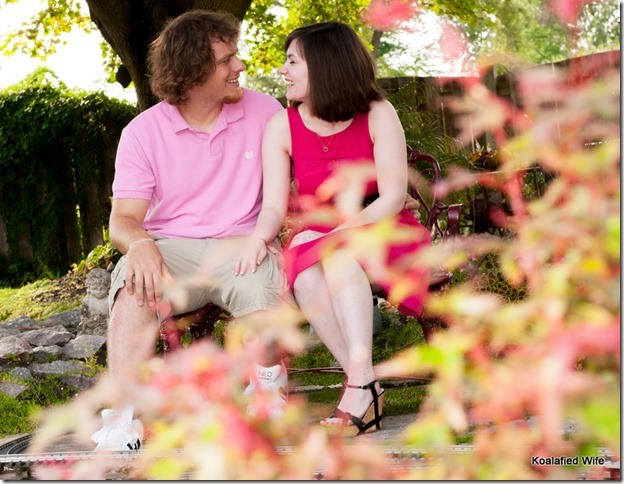 Allow me to introduce myself, I am Christina of the blog Koalafied Wife. I am the lucky lady married to Zach, Mary’s son. If you have been a follower of Mary’s blog for awhile, you might remember our wedding story, I can’t believe it has already been almost two years! When Mary asked me to guest post on her blog for her Sweeps Week I was so excited, she’s the real deal, as you all well know! 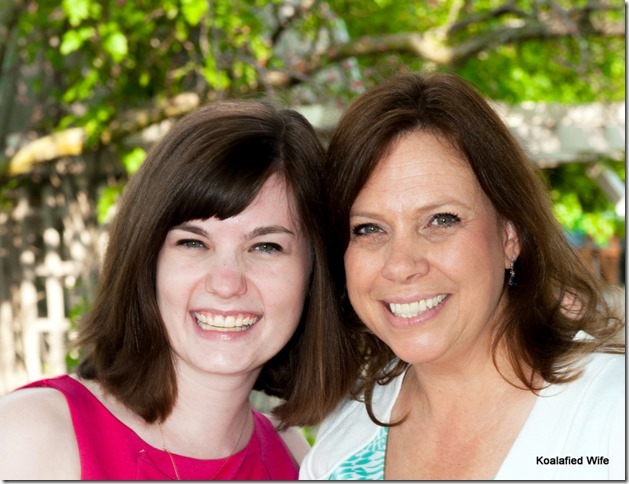 If you have ever met me (or read my blog) you know I adore my mother-in-law, and how many people can say that about their mother-in-law? When I decided to start my blog, I absolutely used Mary as one of my inspirations. I am not even close to being the amazing writer Mary is, but I sure try to have fun! I started my blog to document our adventures as newlyweds figuring things out and somehow it turned into me posting a lot of recipes. As I was deciding what recipe I wanted to make for my guest post I asked Mary for some input, she sent me several delicious looking recipes on Pinterest (my best inspiration). After my mouth stopped watering at all the delicious ideas I settled on a recipe that Mary actually found and tried several years ago when we first found the magical place that is Pinterest. I will never forget my first bite, I was in absolute heaven, crescent rolls, cheese, a delicious sauce, it had everything I could ask for. Like I mentioned before, I started my blog to document us figuring things out and cooking is a big thing for me to figure out, I enjoy baking but cooking, especially with meat, I find intimidating. If you are a follower of my blog you caught my post earlier this week about my aversion to cooking raw meat and how because of this recipe I slightly overcame it! 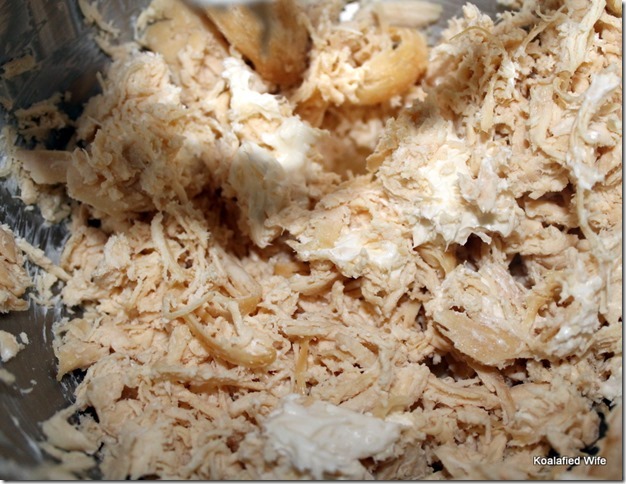 (At least when it come to making shredded chicken…for now.) I was so proud of myself and now this recipe will definitely be a staple at our house. After I finished making Chicken Pillows, I had to share with Mary and Dave, I mean I was going to feature it on her blog after all! It is always nice to have another taste tester, Zach is so picky yet at the same time supportive, which makes for an odd combination when you want feedback. 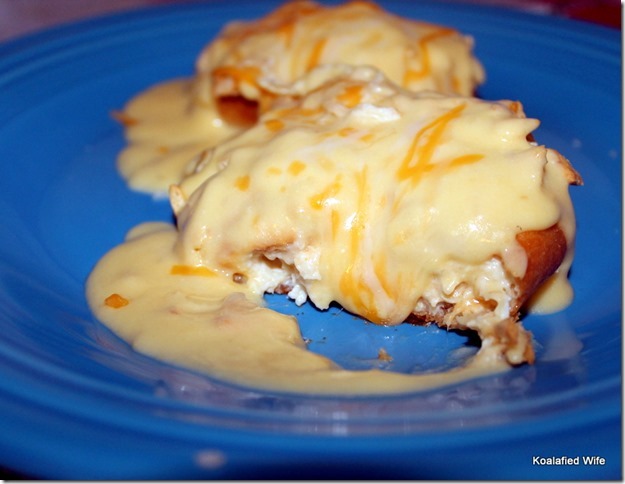 Ok enough chit chat on to one of my favorite recipes! 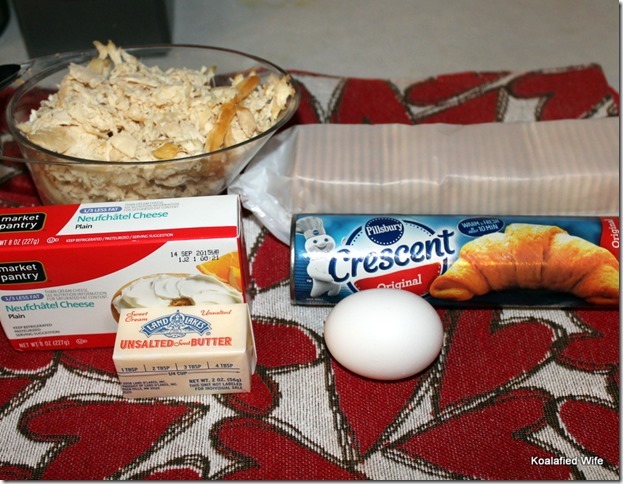 For the Pillows you will need crescent rolls, cream cheese, butter, shredded chicken, egg, crushed crackers and shredded cheese which is not pictured. Combine softened butter and cream cheese until a smooth consistency. Add shredded chicken (I used 2 cups). 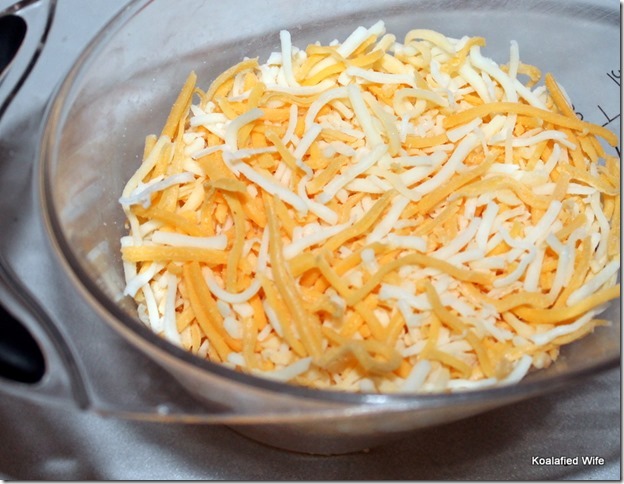 At the last minute I added a cup of cheese, I know everyone that knows me is so surprised I added cheese…not! Lay out crescent rolls and stretch. 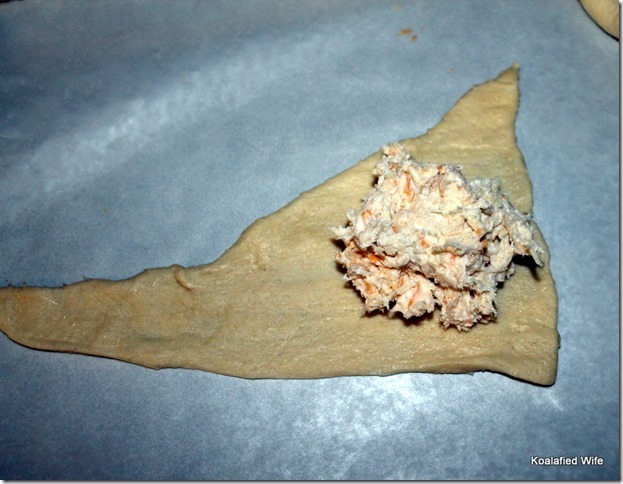 Place a couple spoonfuls of chicken mixture on the dough to “fill” it. Fold the crescent around the mixture so none is showing. I rolled it around in my hands a bit to make sure everything was covered. Whisk the egg with a few tablespoons water and crush up some crackers. I did the whole sleeve, definitely way too much. 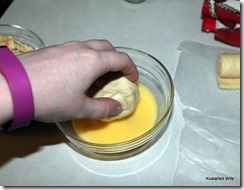 Dip the top of the pillow into the egg mixture then into the crushed crackers. Place on cookie sheet and repeat with remaining pillows. Bake for 15-20 minutes. While the pillows are baking it is time to prepare the sauce. 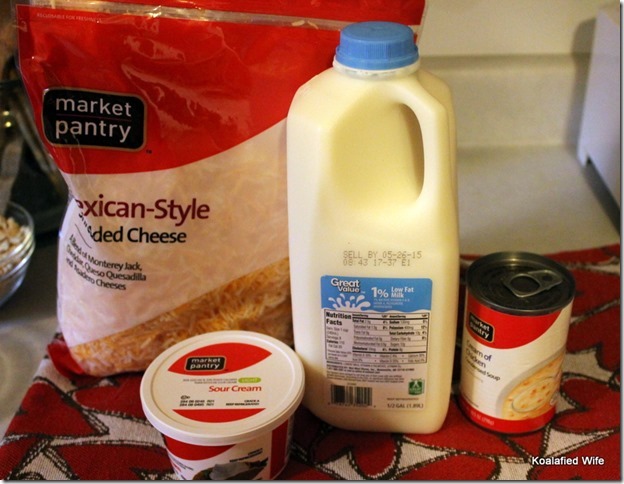 You will need cream of chicken soup, milk, sour cream and shredded cheese. 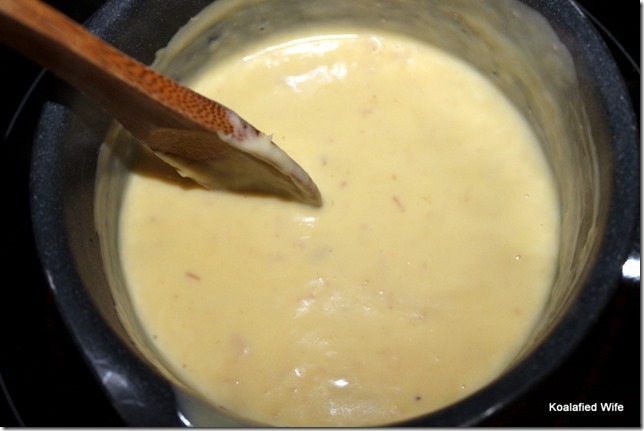 Combine soup and milk in a sauce pan. Add more milk as needed to reach desired consistency. When soup mixture is hot add in sour cream and shredded cheese. Check on pillows to see if they are golden brown. In my oven they took 18 minutes. Serve the pillows with as much sauce as you would like, of course I garnished with some more cheese…surprise! 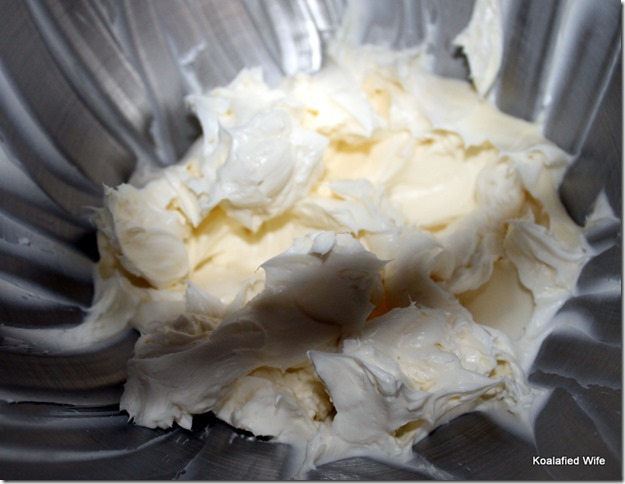 Combine softened cream cheese and butter in a mixer, stir to a smooth consistency. 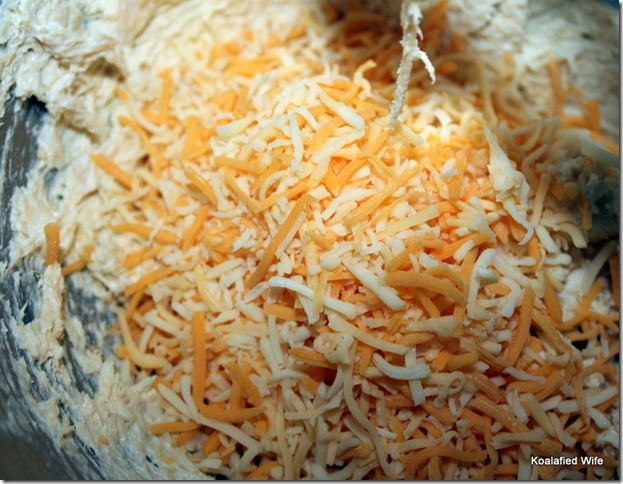 Add shredded chicken and cheese. Lay out crescent rolls and stretch out. 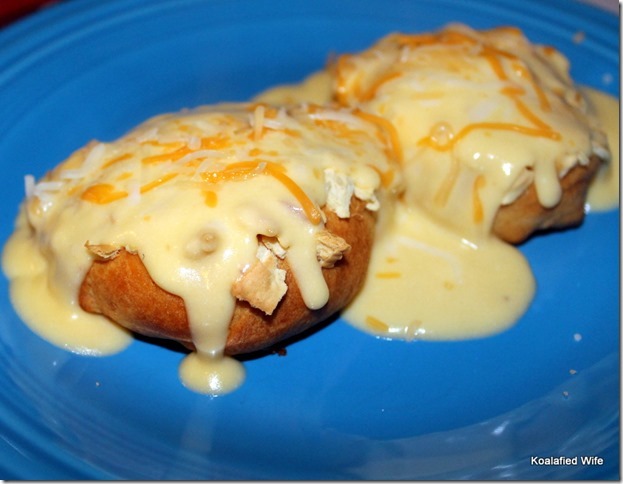 Place a couple spoonfuls of chicken mixture on the dough to “fill” it. 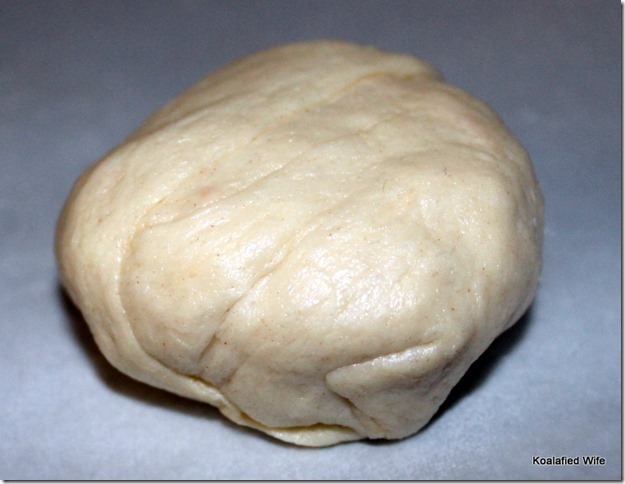 Fold the dough around the mixture so none is showing. I roll it between my palms to make sure everything is covered. In a separate bowl whisk the egg with a few tablespoons water. 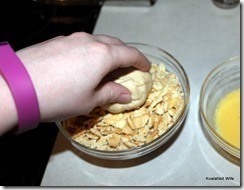 You will also need a bowl for the crushed crackers, about half a sleeve should be good. 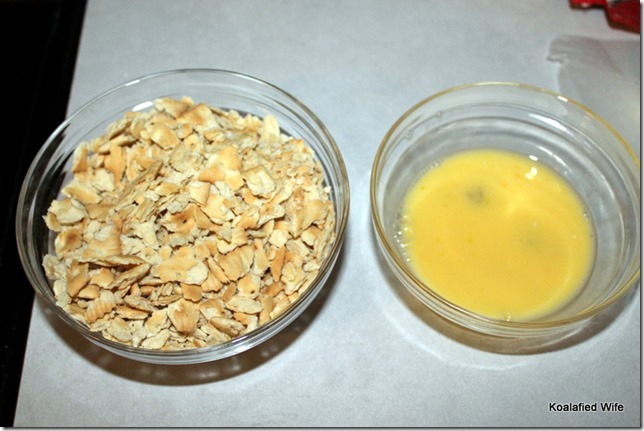 Dip the top of the pillow into the egg, then immediately following dip it into the crushed crackers. Place the pillow onto a cookie sheet and repeat the previous steps for the remaining pillows. I always end up with extra chicken mixture. 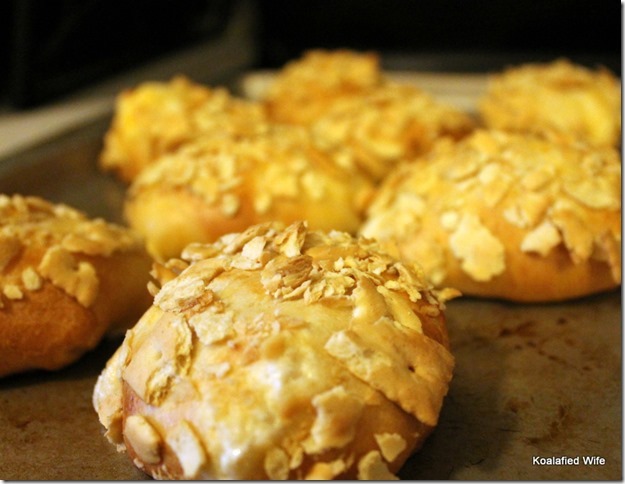 Bake the pillows for 15-20 minutes, keep an eye on them, you want the crescent dough to be golden brown. My oven only required 18 minutes. While the pillows are baking it is time to make the sauce. 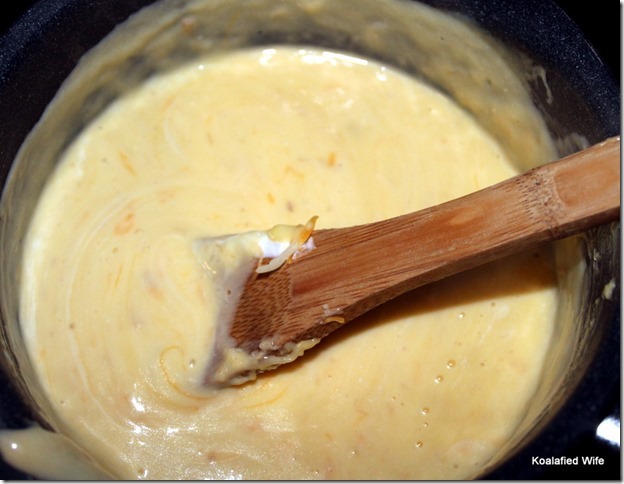 Combine the soup and milk in a sauce pan. Add more milk as needed to reach desired consistency. When hot add the sour cream and cheese. Pour sauce over pillows when ready to serve. I always let everyone do their own sauce, I want lots of sauce, Zach not so much, that way we both get the amount we like. 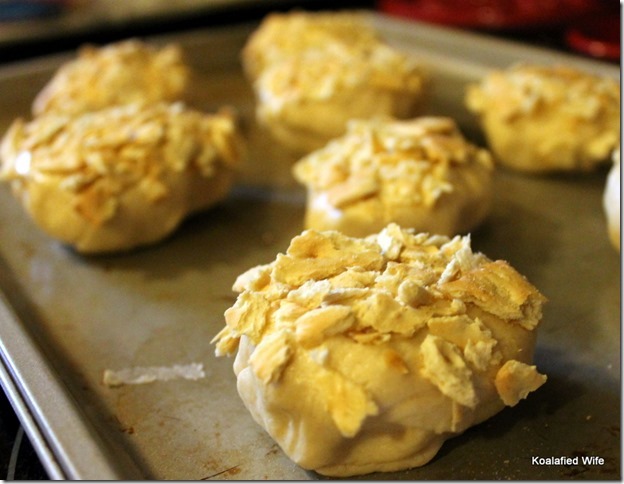 Thanks for reading, if you enjoyed this recipe be sure to check out my blog Koalafied Wife for more! Like usual I have to end with a picture of my kitty because she makes me laugh. 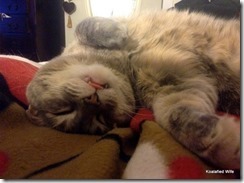 Don’t ask me how she sleeps like that… but it is adorable. This entry was posted in SWEEPS WEEK May 2015, Writing and tagged adorable kissing koalas, Adventures of a Newlywed, CHEESE!, Chicken Pillows, Christina Lamphere, Koalafied Wife, Mary Lamphere, Toews the evil cat. Bookmark the permalink. this recipe looks delicious. I can’t wait to make it.